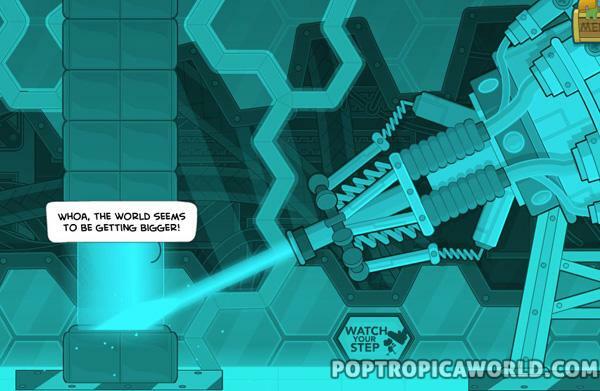 Virus Hunter Island is now available! Below you will find the full virus hunter island cheats walkthrough written by yours truly SkyBoy303! Next you go to the globochem building on the left side. You won’t be able to go upstairs inside of globochem YET. You will see the person on the top of the globochem building. Go to the right side of the level, you need to go to the area to the right. It can be hard since there is only a little space that lets you go to the next area. So put your mouse on the farthest right side of the screen and when it changes the cursor you can click. Go to the fitness store and click on the colored bands and click on them. They will break and you will get the resistance band. Go back to the globochem and climb the tree to the right side. When in the birds nest use the band to latch onto the hook. Then use it to climb to the top of the building and talk to the guy on top of the building. Now you need to go to the left and go to the new area. 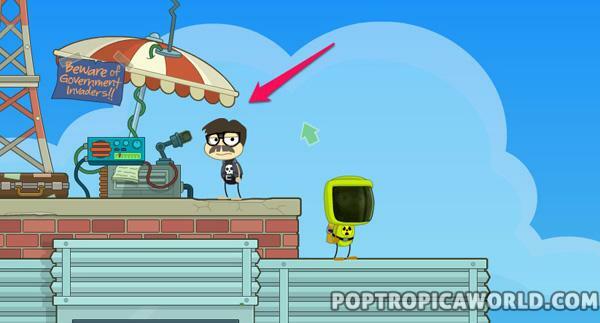 For the next part of the poptropica cheats you need to talk to the guy in the pizza delivery truck and he will drive off. When he drives off he will leave shredded documents behind which you need to pick up. You will need to put the shredded documents back together, it might just be the blue but try both the blue and tan piece of paper. Once you complete it he will give you the PDC badge. Before that you need to go to the video store. The lady working will see your badge and let you go into the elevator taking you downstairs. 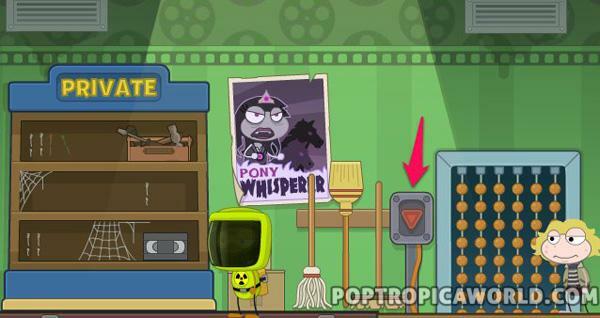 Be sure to hit the red button on the poptropica elevator. 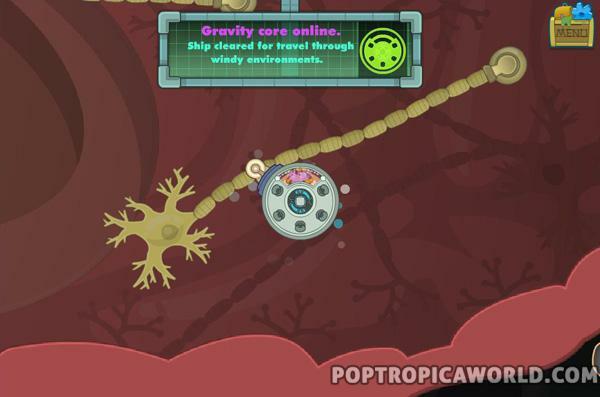 This will take you to the Poptropica Disease Center aka the PDC. Once you get to the bottom, check in with doctor lange. Watch the video about cc13 influenza. After she will give you a camera and dosier which you will need. 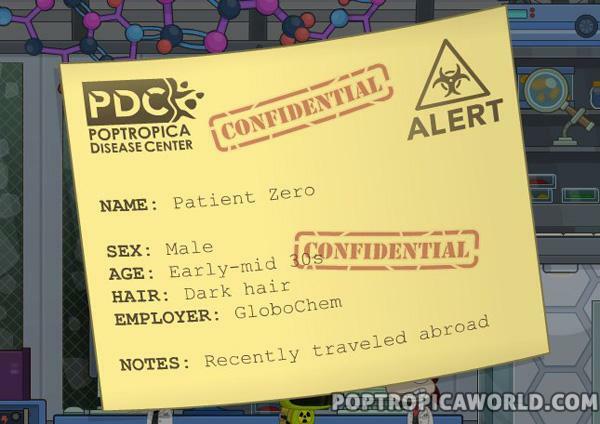 You now need to find patient zero. 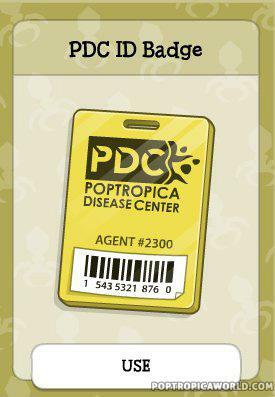 The dosier gives you the information about patient zero. Next up in the how to beat virus hunter island guide you need to go back into the elevator and then go back to the recycling bin by knaves landing apartments. Go back to the falafel lunch stand and talk to the guy working. He will run off to globalchem to deliver a lunch, you need to follow him. You can now go upstairs at globochem. Now you need to go back and talk to dr lange, then follow him through the doorway. Click on the machine and select the tool you want to use and hit space bar to use the tools like the electro one. You can choose your destinations, you can go back to the stomach and see him drinking something purple. Once he’s doing that you need to go up his throat. 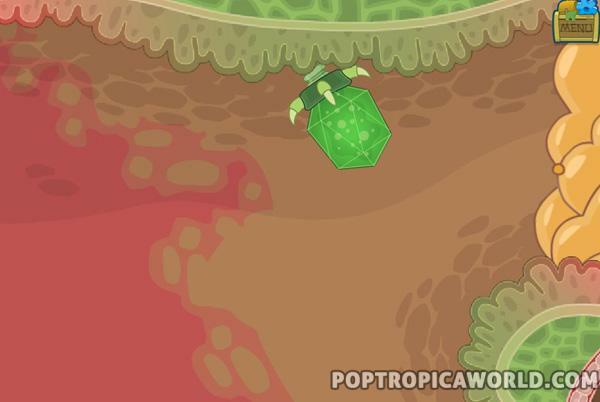 Now you will see bubbles and you can jump on top on them. Do this and you can ride it all the way to his mouth. Once you get into the mouth go all the way right by his teeth and you will find the first part of your machine. Click on it to pick it up. Go back to your machine and click on it, it will be added to the vehicle. You will be taken back to the stomach. Now you can go all the way down to the left, through another opening. This is the intestines. When there is food blocking the way, just shoot it to get rid of it. 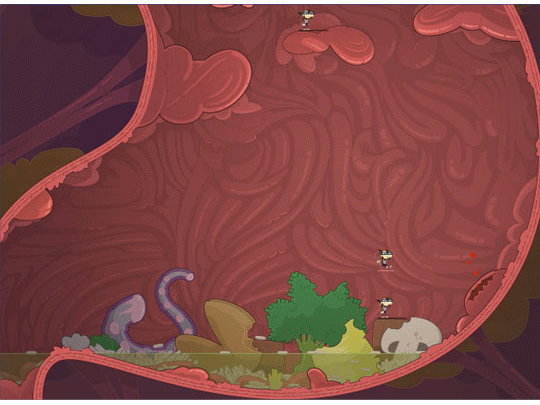 Then keep following the intestines all the way around. NOTE: Be careful of the dripping green stuff, it can hurt your vehicle. You will now have to battle a HUGE virus. When he shoots his spike tentacles at you shoot them. After you beat him you will get your laser. After getting it exit out to the right and go into the heart. Now you will have to battle another huge “boss”. To battle this boss when his tentacles aren’t pointing at you, you need to take your laser spear and drive it right into the viruses stomach. Only do it for a couple seconds then retreat. If you stay to long he will catch you. Then you will need to use the laser on the tissue calcification aka calcium build up at the bottom. To beat this you need to heal the 3 hemorrhages with the green gun and use the laser to seal the 2 openings where the viruses are coming from. A good idea is to kill the virus spawn points using your laser first, then doing the above. Then exit the arm and go to the brain and go to the left to heal the hemorrhage. 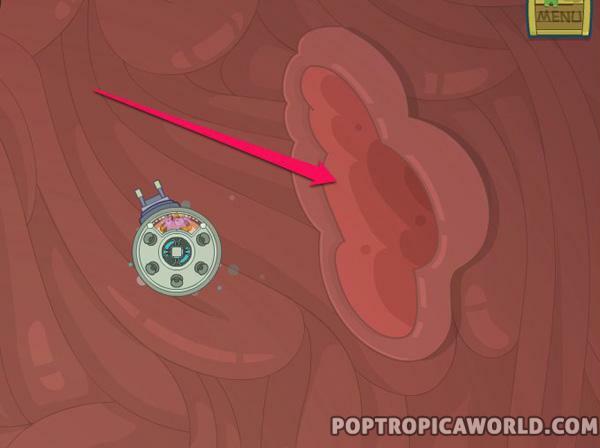 Once you do that a glowing “neurotrasmitter” with appear and then you use the lightbulb weapon to move the large veins. You then connect the circular ends to each other so the electricity or “glow” connects to the vein he is touching. 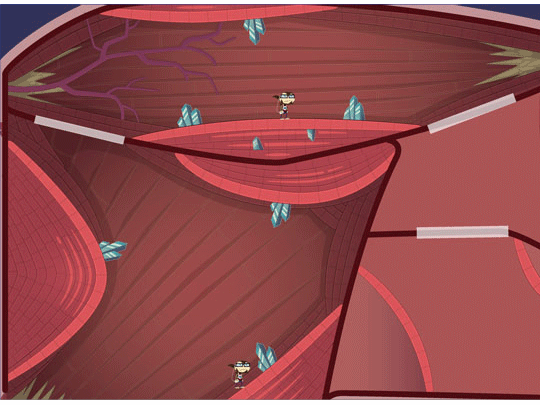 After beating that boss you go back to the “body map” where you can choose what part of the body to go to. Then go to the mouth and take your laser out, and go under the teeth into the gum. 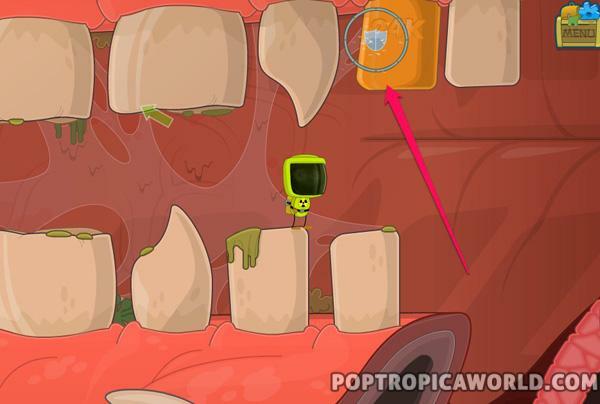 You will see a spikey tooth sticking out in the wrong place down there and you will need to use your laser to remove it, basically like a cavity. You will find another boss virus. 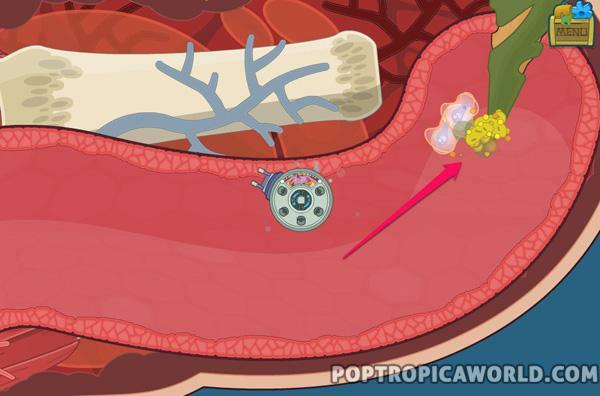 Shoot him as he goes around destroying the blue and red spotted parts of the body. 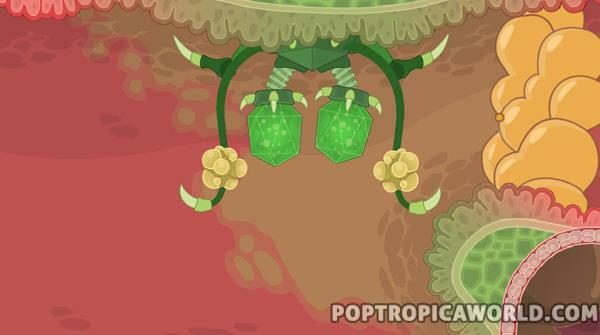 After you beat this final virus hunter island boss you will be sneezed out of the infected body. 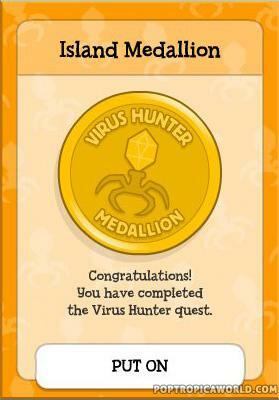 The doctor will come back into the room and award you with the virus hunter island medallion for saving the world and beating the level. Hopefully this guide isn’t too confusing and helps you beat the level quick and easy. 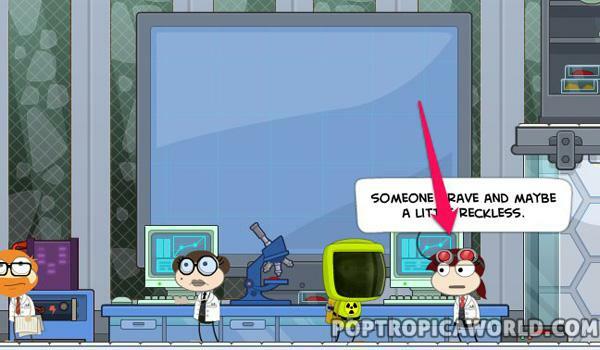 How to find the person infected on virus hunter island? You will need to first follow the step laid out above, then go to the top floor in the globochem building. 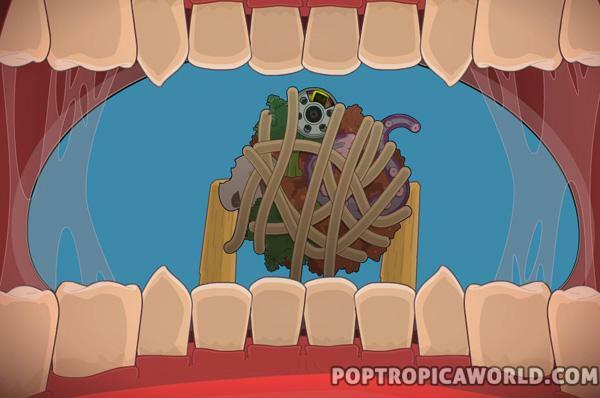 How to get on the hook in Poptropica Virus island? Go to the gym and grab the colored workout band from the equipment. Old Post Content Below: Hey everyone! 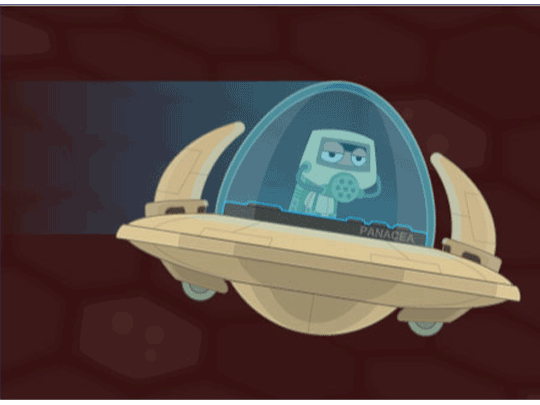 IF you are wondering how to beat virus hunter island you have come to far haha, look above for all of our walkthroughs. If you want to see some of the history of the island you can keep reading. where is this island i really want to play it now! but it is already out! I can’t get past the throat cuz it won’t let me go up it. Its out now! 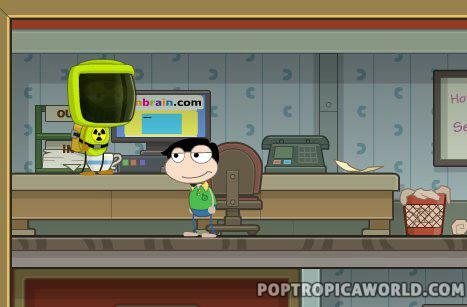 Its new model for poptropica. If you look on the main map they have a contest you can enter! Can’t wait to play it!!!! I have aldready finished it. 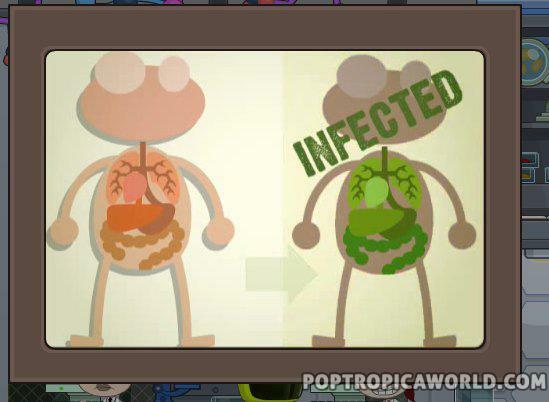 I’m soooooo gonna beat this island and I wonder HOW you fight this VIRUS you’re all talking about…………. How so exelerating but I still still prefer pixie hollow it’s wayyy better than poptropica ever will be( well kinda) I dont wanna be mean but it really is true and it’s the truth so HANDLE IT!!! i can’t wait. i’ll be foumes!.. 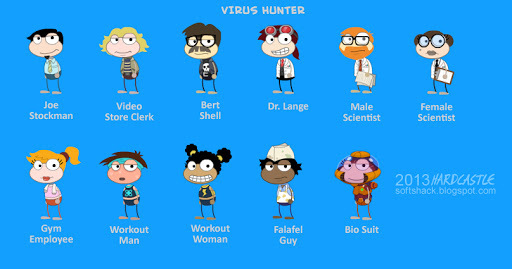 When is the virus hunter island coming out?? Can anyone answer??? What month what day what time is it out, i cant wait any longer!!!! I think it comes out in august for members becus the members only time usully lasts a month. i want it out noooooooooooooowwwwwwwwwwwwwww!!!!!!!!!!!!!!!!!!!!!!!!! Hi! :D Picking up from where you are, you go to the condos and talk to the truck driver, which scares him and he speeds off. You talk the bag you get from that to the roof man and put all the papers together. Roof Man gives you a badge and you take it to the video store. Then you go down to the lab and are essentially forced to volenteer where you get this description of a man, you go to the condos and dig through the recycling bin and find a letter to a Joe, and a page from a vacation, which means he most likely has the virus. Umm I am playing it now and those white cells stole all of my gear and I cant get anything from it !! Like I cant get a thing done help!!! WHY IS THERE A DEMO! I WANT A FULL VERSION! Did you go to the left side and through the opening there? I should have the video up soon showing you how i did it. Im playing the demo but it wont tell me when its fully coming out at the end! I WANNA KNOW! There is no hole anywhere in the stomach. after i patched up the ulcer, i’m just stuck watching chinese fast food fall into his stomach acid and be digested. Update: I beat it! It took a while to find the hole. Look for my character on the virus Map. my character’s name is Super Storm, and my user name is firef14. What?! I cant get back in the lab area! PLEASE HELP ME!! Hi Stephanie, i was stuck there too, but all you do is go to ‘Menu’ and click the blimp. It will take you back to the main (main) map, then just click on virus hunter island and it should bring you to main street. Forget everything i said, it makes it think you already got the medallion..
i killed the eggs before the battle them:NOOOOOOOOOOOOOOOOOOOOOOOOOOO!!!!!!! Who cares? My membership ran out a few months ago. I cant grab the mail in the recycling!! please someone help me! It was easy for me to grab the mail! HURRY! HAHAHAHAAHAHA PLEASE HELP ME!! HELP! IT WONT LET ME GO INTO THE WINDY ROOM! SOMEONE HELP! Alissa, Seriously? Stop. Stop freaking out and just READ THE WALKTHROUGH VERY CAREFULLY. IS THAT SO HARD? I cant grab the mail in the recycling either ? I cant go in to the windy room! i was the third one to finish! it was not really hard but it was confusing in some parts. What if I accidentally went into the heart? I did the same- I went to the heart. But I got out eventually. All you have to do is go to ‘menu’, then click on the blimp to return you to the map. 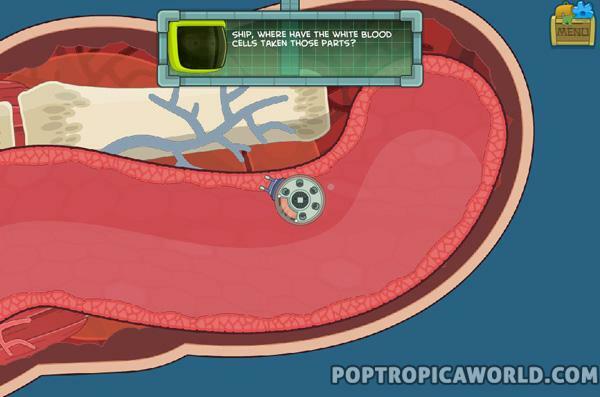 Go back to virus hunter, and it will bring you right to the screen where you choose where to go! how do you get on that hook? I out of the heart without healing the green stuff then I cam back and the musles were closed so I snuck past th firts one and cant get back HELP!!!!!!!! HElp what is kaves landing apartments! why don’t you give more info? 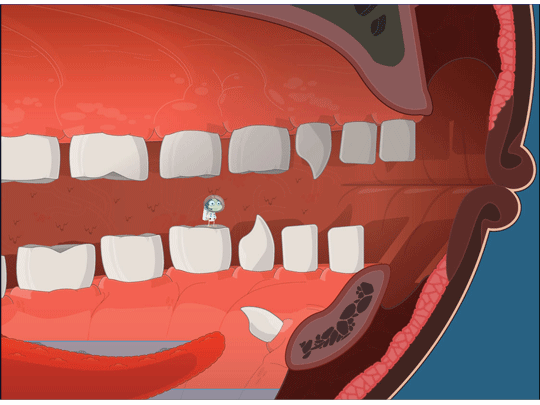 I had to restart this island, because I got stuck in the lungs before I was supposed to…. Ugh. this is a cool island. sim, thats probably just a glitch and u should restart the island. and for those of u who asked, monster carnival island is an island that was on the map, but before it got released it dissapead and was replaced with time tangled island. personally, my favorie islands are mystery train(which i played like 5 times, i know everything there is to know about it) and night watch island(i love it when Eddie the snake jumped on the scooter and yelled WHEE, FREEDOM!i couldnt stop laughing, so funny, and he even ran over the bad guy after the chase in the air vents.) 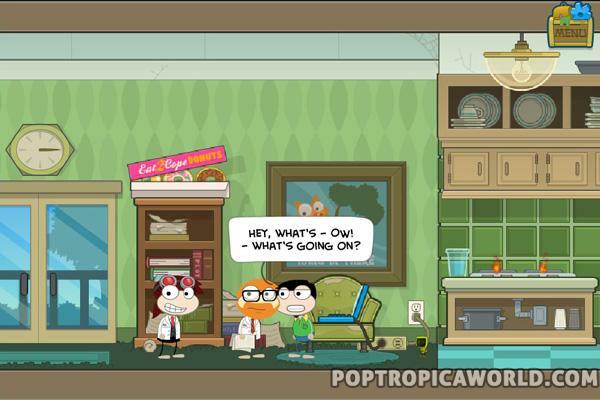 poptropica is my faveorite game, i beat all the islands except skullduggery and astro nights, anybody have any tips for those? 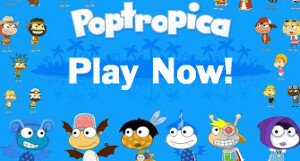 i cant wait to play mocktropica! Mystery Train is one of my favorites too! 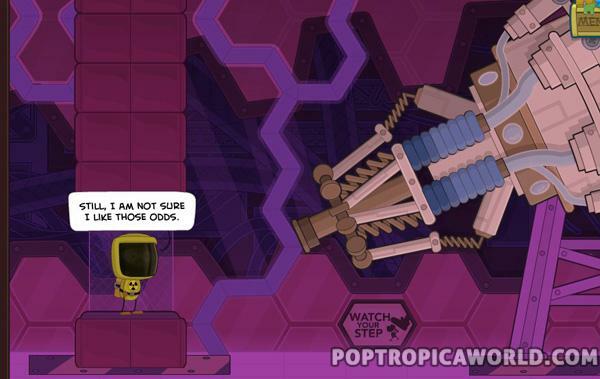 Check out the Walkthrough page on this site to see how to beat Skullduggery and Astro Nights! umm everytime i turn into Nano Size it Shockwave Flashe crashes >.< HELP!!! I got to the end and beat the final boss, but I think that there was a glitch, because it died and then a ”crack” in the lungs appeared so I could go back into the heart. He didn’t sneeze. I don’t want to restart because I already got to the end! What should I do? how to get out of the brain?? Okay. I went into the lungs before I was soppose to. Is there a way out? Or will I have to start the game over? Very fustrated!